Here is my latest video demonstrating how easy it is to overwinter your tropical "bulbs" like canna and caladiums. For those who want to play "spot the kitty," at about 1:40 in you'll start to see cat ears at the bottom right corner of the frame. That is my Santino wanting to know why I'm not petting him. Free Koi: Bring Your Own Net and Bucket! Now winter is approaching and the park fountain is drained so it does not get damaged in the freeze-thaw-freeze cycle, we area gardeners are all too familiar with. There are hundreds of small Koi needinga quick re-location to a new home. The Washington Humane Society (WHS) has already spent one morning attempting to capture and re-locate many of the fountain fish. The Koi proved pretty elusive, so tomorrow at 10:00am (Wednesday, 11/30), the WHS will be back and the fountain will be partially drained to make fish capture a bit easier. Michael Triebwasser, Humane Law Enforcement Officer at the WHS, is coordinating the rescue event. He says, "There are at least a couple hundred fish left of various sizes, ranging from an inch (and less) to 6-8 inches. If you can give the fish a good home, you are more than welcome to take as many as you’d like." 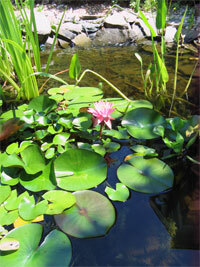 If you have a backyard pond that can accomodate some rescued Koi, come on down with your net and a bucket to help out. You can read more background about these fishy-tales at the Prince of Petworth blog here. UPDATE: I went to the rescue and spent an hour sifting through algae-muck for the littlest of the fish. Boy, are my hands cold! I brought home 15 small ones -- half will go in my pond and the others to a friend's pond. 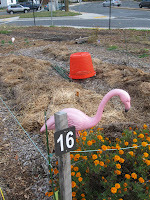 I put up a photo album of the rescue event at facebook.com/WashingtonGardenerMagazine. You can request a single copy of any back issue for $6 each or any combination of 6 back issues for $24. You can also order ALL 30+ back issues for just $100. Prices include postage and handling. Please specify the issue date(s) you would like. Order must be prepaid by check or money order. MAY/JUNE 2008 — Almost Sold Out! A few of you have asked, "How do I know when my subscription runs out?" On your address label on the Fall 2011 issue, above your name is a code. It consists of two letters and two numbers. SP (spring), SU (summer), FA (fall), and WI (winter). 11 (2011), 12 (2012), 13 (2013), etc. So, if you see "SP12" that means Spring 2012 is your last issue in your subscription. I hope this helps and that your holiday weekend was restful! In the spirit of Thanksgiving, I'm running this subscription special through December 5 in gratitude for all my online friends, followers, fans, and frequent commenters. 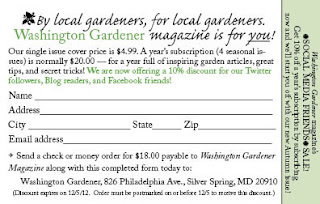 Print out the coupon above, fill it out and mail it in with your check/money order to get 10% off a year's subscription to Washington Gardener Magazine. I'm also running a Back Issue Sale, full details can be found in on page 8 of the latest Washington Gardener Enewsletter posted here. Another trip into our Washington Gardener Magazine video vaults. This one is a MonkeySee.com production. It is about Shutting Off Water Sources for winter. Enjoy! BTW, you may have to wait a few seconds for the video to load while listening to a brief MonkeySee.com sponsor commercial. If the above viewer, does not work, you can also go directly to MonkeySee.com to watch it there. 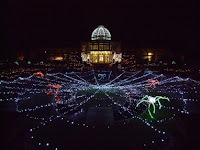 For our November 2011 Washington Gardener Reader Contest, Washington Gardener is giving away 5 sets of passes for two people to the Lewis Ginter Botanical Gardenfest of Lights. A holiday tradition in Richmond, VA! The walk-through show features more than a half million lights arranged in botanical themes throughout the Garden. Visitors can also marvel at displays in the Garden’s Conservatory and decorations in the Visitors Center and the Education and Library Complex. GardenFest includes family-friendly activities, botanical decorations, model trains, a bonfire (weather-permitting), oversized “LOVE” artwork, courtesy of the Virginia Tourism Corporation, and mazes of lights in the Children’s Garden, holiday dining, music, and more! The show runs Friday, November 25, 2011 - Monday, January 9, 2012. (Closed December 24 and 25.) The hours are 5:00 to 10:00pm. 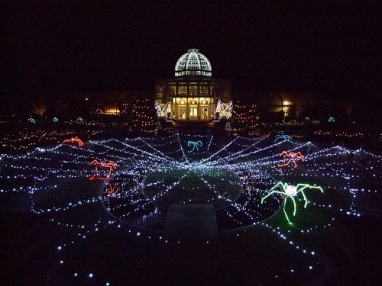 For more information on the Lewis Ginter Gardenfest of Lights, visit: http://bit.ly/gardenfest. To enter to win a set of two passes to the Lewis Ginter Gardenfest of Lights, send an email with “GardenFest” in the subject line to WashingtonGardener@rcn.com by 5:00pm on Wednesday, November 30. In the body of the email please include your full name, email, and mailing address. The pass winners will be announced and notified by December 2. ~ Washington Gardener Magazine Back Issue Sale! Another trip into our Washington Gardener Magazine video vaults. This one is a MonkeySee.com production. It is about How to Clean & Preserve Garden Tools for winter. Enjoy! This autumn has been a wonderful "Indian Summer." The past few days in the Washington, DC-area were in the '60s and made weeding and raking a joy. 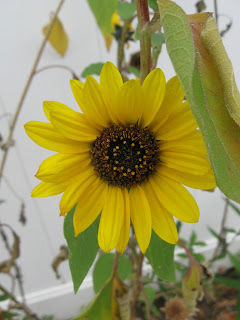 The line of sunflowers along my fence may look a bit scraggly as the other annuals I planted there have died back, but the sunflowers just keep right on blooming! I plan on keeping them up until the last flower finished up. NEW Fall 2011 Issue OUT! 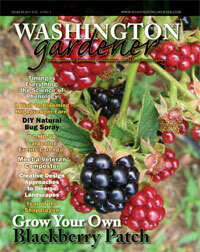 Our Fall 2011 edition of Washington Gardener Magazine issue is printed and mailing this week. If you are a current subscriber, look for it in your mailbox soon. 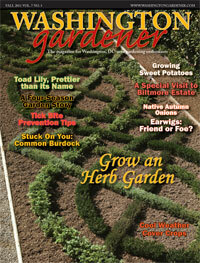 The cover story is on Herb Gardens for our Mid-Atlantic region. Also in this issue is the Edibles column, “Growing Great Sweet Potatoes” by Cindy Brown. She shares her tips on how to grow them here and the best varieties for our area. Our Daytrip is to the Biltmore Estate in Ashville, NC. I visited there myself last year and cannot wait to get back next summer for an even longer stay. 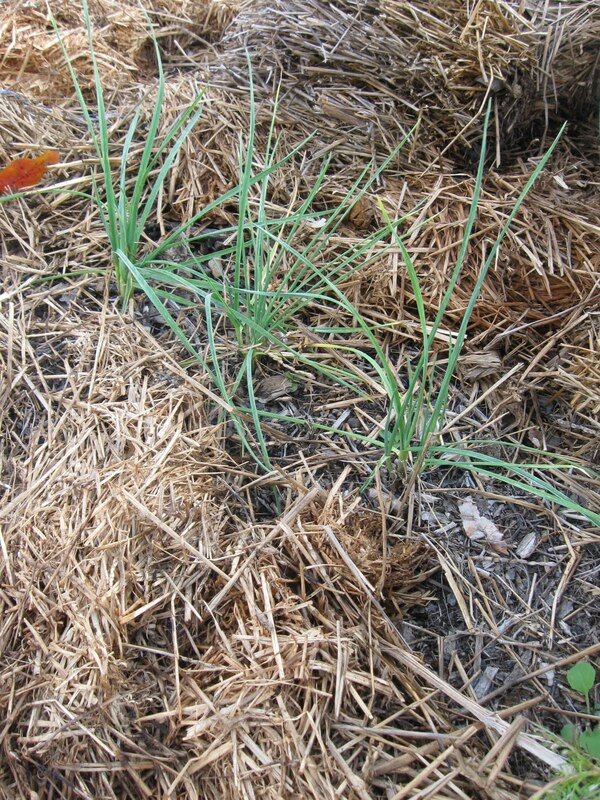 • Earwigs: Beneficial or Nuisance? 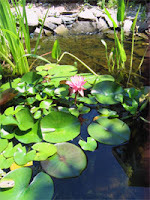 To subscribe, go to www.washingtongardener.com/index_files/subscribe.htm and use our PayPal credit card link. 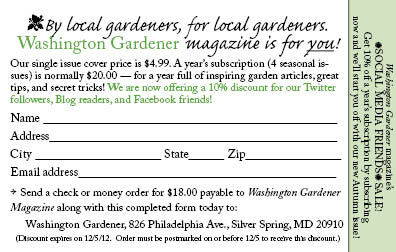 OR, send a $20 check to Washington Gardener Magazine, 826 Philadelphia Ave. Silver Spring MD 20910. Join Washington Gardener Magazine and Cheval's Garden Tours for a daytrip to Longwood Gardens in Pennsylvania on Thursday, December 15. The tour departs and returns to Behnke Nurseries in Beltsville, MD. Get in the holiday mood and get all your gift shopping done in one day at one of the most beautiful displays in the world. Treat yourself and bring along a friend. Remember that current Washington Gardener Magazine subscribers get $5 off the registration fee! Act soon as spaces fill quickly. I cleared out my garden plot at the Fenton Community Garden this past week. We have been blessed with some warm autumn days and it was fairly easy work to pull up the plants. I dug the last of the potatoes and plan to have them for dinner tonight. I gathered all the stakes and plant labels for re-use next year. Instead of a cover crop, I mulched with straw. I was able to gather over 5 pounds of green tomatoes, tomatillos, and eggplants. I also plucked some hot peppers from the communal compost pile. I brought them over to Shepherd's Table and hope the chef there can use them. The last of the beans I plucked and set on a screen in my sunroom to dry for seeds in next year's garden -- and for trading. 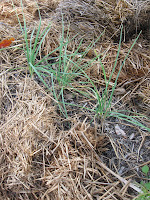 The only thing left growing in the plot now is my garlic, which I'll harvest next spring. I did leave up some marigolds, as when I tried to pull them, both bees and butterflies got in my way. 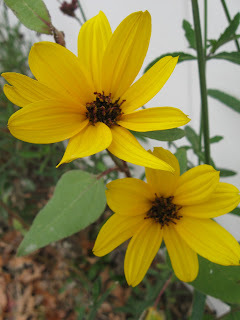 I will pull those last flowers out this weekend or next. Maybe I'll add another layer of wood chips to my pathways also as that is pretty warn away. Other than that, I'm done with the garden plot for the year and will turn my full attention to getting my hom garden set for winter. For starters, I have a lot of spring-blooming bulbs to put in and tender summer-blooming bulbs to store. This weekend I went to Button Farm, a stop on the Maryland Emancipation Day tour, and left my camera! Luckily, I'll be reunited with my camera in a couple days, but meanwhile will have to reach into the vaults and share with you one of my oldie-but-goodie videos. This one is a MonkeySee.com production. It is about Collecting Your Last Harvest in preparation for putting your vegetable garden to bed for winter. Enjoy! I have started a new blog for fun all about Cats in Gardens, featuring (you guessed it!) photos of cats in gardens. 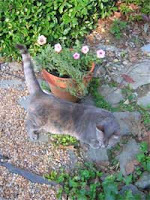 Please visit and share your cats in gardens at: catsingardens.blogspot.com. "Getting Your Garden Ready For Winter"
Grow a beautiful garden filled with flowers and foliage and still honor the Earth by using sustainable gardening practices. 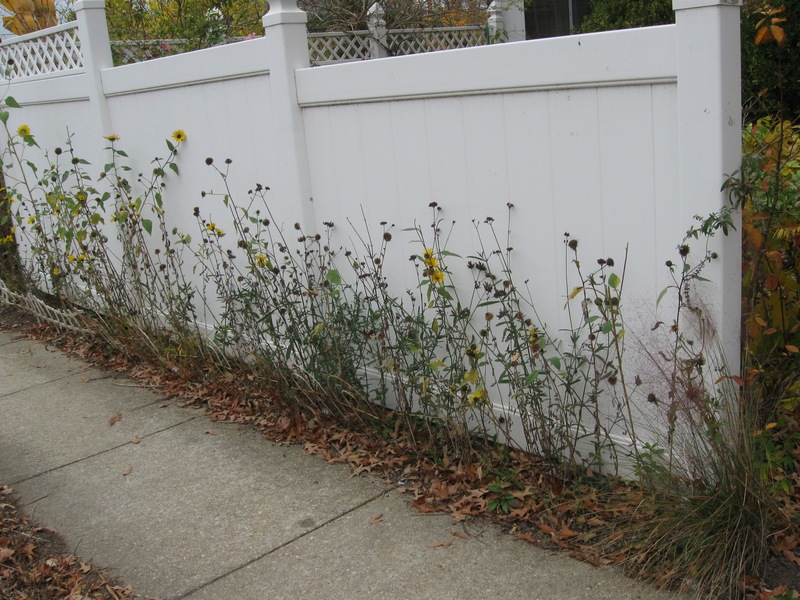 Learn how to prepare your yard for the next growing season in an eco-friendly way. Presented by Kathy Jentz, Editor of Washington Gardener Magazine, to celebrate the donation of 18 garden books to the Takoma DC Public library by the Takoma Horticiultural Club. Make sure to peruse the books on display while at the library! Washington Gardener Magazine will be at the Behnke Nurseries holiday craft show on Saturday, November 5 from 10am-4pm at their Beltsville, MD location. Come by to subscribe or renew and to buy current and back issues of the magazine. Find out also about our upcoming daytrip to Longwood Gardens on December 15 with Cheval's 2nd Act. 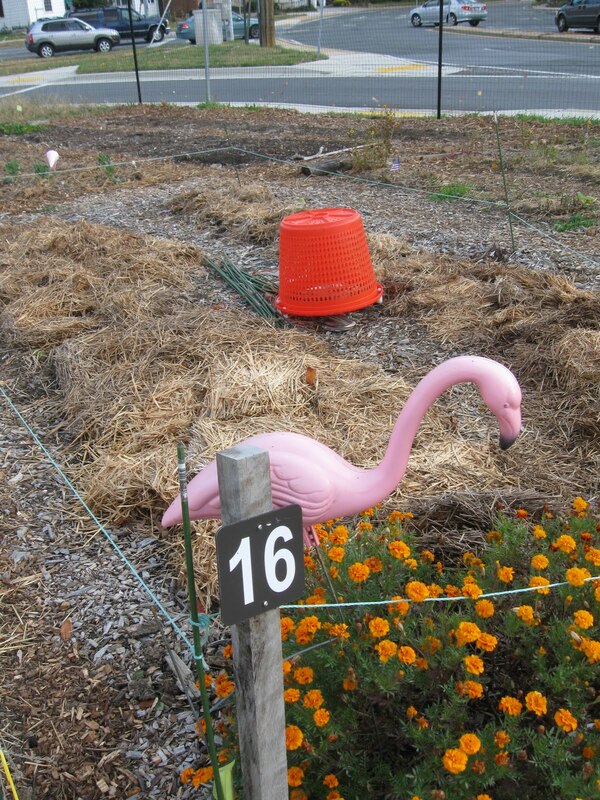 Here is a student-made documentary on the Fenton Street Community Garden starring a few of my garden plot neighbors. You'll see my house/garden in the opening shot across the street from the garden. There are also close-ups of my basil and marigolds with bees on them. The garden plot season is definitely winding down here, so I'm glad they captured this point in time and hope it will show others just what a community garden is all about. 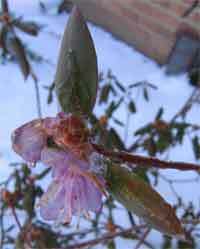 Didn’t get all your bulbs planted before the ground froze? Don’t discard them! Instead pot them up for indoor forcing and enjoy an early springtime in the depths of winter. If you were a good little gardener and got all your bulbs in the ground on time, there are still a few bulbs hanging around unsold at local area garden centers and on major markdown sales on the web and through mail order, snap them up now at these bargain basement prices and consider yourself a savvy customer. Next year, when you place your bulb orders, add a few extra to your quantities to set aside specifically for forcing. 1. Bulb Selection. You don't need to buy any specific variety or kinds. You can just select a few bulbs from those that you would buy for outside plantings. After they are done livening up your winter home, you can plant them outside after the last frost so that they will return annually with your other bulbs. One note of caution, indoor bulbs can sometimes give off potent smells. Some people love them, some don't -- paperwhites and hyacinth are especially notoriously in the love/hate category. Experiment a bit, and you'll soon learn which scents are to your tastes and which are just too overpowering for inside your home. 2. Timing. Keep in mind that bulbs bloom within three-four weeks of removal from cold storage, which lasts about 12-16 weeks. So if you want blooms for a specific occasion, you need to work about 16-20 weeks in advance for planting time. 3. Bulb Planting. Regular bulbs should be planted in soil, but at a shallower depth than you would outside. The top of the bulb should be even with the soil line and have about 2" of soil below for root development. The container should have drainage holes. Because it will be inside your house and no one likes a leaky mess on their furniture, I recommended lining the bottom of the pot with scrap landscape fabric and placing the pot on a good-sized saucer filled with a layer pebbles. Place the bulbs pointy side up and with the "flat" side towards the outside of the pot and as tight together as you like. Crowding them actually makes a nicer visual effect than spacing them far apart. Tight quarters also helps the foliage from growing out too much and flopping over. Water the newly planted bulbs well. Place the pots in plastic newspaper sleeves to maintain a moist environment. 4. Cold Storage/Removal for Flowering. Place the potted-up bulbs in cold storage for about 12 weeks. Cold storage should be roughly 40-50 degrees and without light. Storage areas might include your basement, garage, or the crisper drawer in your refrigerator. Different bulbs have different cold cycle times but most are between 12-16 weeks. (Tulips need the most time at a full 16 weeks.) Mark your calendars so that you don't forget about them. When you first remove them from storage, place them in indirect light and away from a heat source to prevent “legginess.” After two weeks, when they have sprouted and are several inches high, move them to a sunny, warm window. Once a flowerhead or bud starts to develop, you can then move it to your desired location with indirect sunlight to prolong the bloom life. Keep them watered regularly as soon as you remove them from cold storage. Enjoy! Kathy Jentz is Editor of Washington Gardener Magazine. This winter she is forcing two dozen apricot tulips as holiday gifts for friends --- sh! Washington Gardener Magazine, is the only gardening publication published specifically for the local metro area — zones 6-7 — Washington DC and its suburbs. The magazine is written entirely by local area gardeners. They have real-world knowledge and practical advice with the same problems you experience in your own gardens. They share their thoughts on what to plant in deep shade, how to cover bare spots, which annuals work best throughout the humid DC summers, and much more. If you are a DC area gardener, you’ll love Washington Gardener magazine! The magazine is published four times per year with a cover price of $4.99. To subscribe to the magazine: Send a check/money order for $20.00 payable to “Washington Gardener” Magazine to: Washington Gardener, 826 Philadelphia Ave., Silver Spring, MD 20910 OR to pay via Paypal/credit card click on the “subscribe” link at www.WashingtonGardener.com. 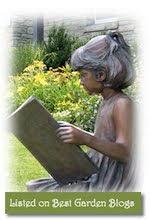 Washington Gardener Magazine also makes a great gift for the gardeners and new home owners in your life!